What are the best wine apps for my device? Back in the day, anyone with an extensive knowledge about anything was considered a unicorn. Without access to the internet, experts used to gather their info in traditional ways that included plenty of hands-on experience. That changed when technology took over our lives, as we now have access to any information we want. Wine is no different; people can access hundreds of sites specific to the alcoholic beverage and seem like experts just by studying product descriptions and ordering wine to your door instead of heading on a tasting trip. The following are the best wine apps to make you seem like an expert, and expertly choose the best wines for every occasion. This community-based review site has more than 19 million members worldwide. They have 8 million labels listed and different categories based on type, price and origin. You can pay a monthly subscription for added trusted reviews, easily scan the wine list when out at an establishment for on-demand reviews before you order, as well as direct access to retailers from within the app. Do you ever get into a restaurant and sit down to take a look at the wine list, only to realize you don’t know or like anything stocked? This handy little app lets you identify restaurants in your area that allow for you to bring your own bottle, what their corkage fee is and even where the nearest wine shops are in case you want to stop off for a favorite on the way to eat. This app uses sommelier’s lists and over 4,000 wine lists to find the perfect wine for you. Its algorithm can find you the perfect companion to the food you are having, or the occasions you are celebrating, based on things such as cost and type. You can train it as well with your favorites and tastes, making it a more accurate pick every time you log your preferences. This app is a great addition for all wine enthusiasts. You train it by organizing both your collection and brands you’ve tried in the past, rating them as you go to develop your taste profile. From there, and over time, it’ll be able to predict different labels you’d enjoy, making your life easier in not having to search endlessly for new brands. 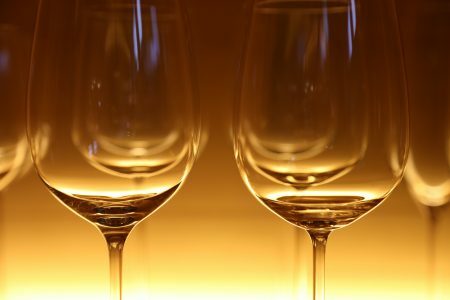 You can even search wine collections when out at restaurants and based on your previous rankings, find the best glass to get you through your meal. Have you seen the movie “Sideways” and wished that was your life? If travelling around to visit different wineries and participate in wine tastings is your idea of a good time, you need this app. Based on your location, you can find both tastings and wineries in your area for a night out on the town. Or, search through 6,500 winery listings from across North America to plan a trip visiting the best ones. You can wish list the ones you want to visit, see detailed information on each one, and stamp your virtual passport with every stopover you make. You can log your favorite visits and wines, connect with the wineries directly and share the results of your visits via social media. If grape type, vintage rating and critical acclaim are important to you, then this app should be as well. Specifically designed to give an abundance of information about your latest bottle, this app is available on both Android and iPhone/iPad. You can search high and low for different bottles in a colourful and rich display, and users can add personal notes, journal about cost and experience and even access GPS-powered maps to find that bottle you’re craving. While not the sexiest looking of apps, Wine Enthusiast Tasting Guide trades in stunning visuals for thorough reviews that mimic the actual publication. It reads like a diary of wine drinkers, an anthology of different brands and ages. Users can view report cards from other users and include their own, and have many search options which include scanning the UPC codes. They also have instant access to things such as tasting listings, pairing and feature articles, and spirit and beer reviews, all which come in the original magazine. All you need to do to find a wine with this app is take a photo of the label. It’ll bring up tasting notes, user reviews and details about your bottle. You can find wine categories that are expansive and include many search options, and use it’s pairing capabilities to find the perfect match for your upcoming dinner. You can save and wish list your favorites and it you can get detailed information about each label from region, price and grape varieties used in the recipe. It also has automatic integration to its sister app, Banquet, which connects you to stores in your area that sell the labels you’re dying to try most. This colorful and social wine log is a great option if you’re a foodie and love talking photos of your creations. It offers beautiful photos of the various food pairings of other users, and you can find specific meals that are perfect for every bottle. You are able to include your own photos, recipes and reviews with the rest of the community or add them to Facebook/Twitter for your social circle to view. A fine wine is as nice as an imported cigar or aged bottle of whiskey. It’s a guilty pleasure and something that you can collect at a reasonable price, which has a practical purpose and can be a great addition to social lives and events. When you have the chance to build your knowledge and library, you’re gaining valuable experience making you yourself a trusted critic. The following apps are geared towards helping you learn more not just about your own collection but what you should add. They give you new and exciting opportunities to learn about labels that match your current pallet, and share your love of wine with fellow enthusiasts. Whether from the table of your favorite French restaurant, the fields of a legendary winery or the comfort of your couch, you can flex your amateur sommelier muscle and no one will know any different.